I try not to do a lot of promotion of things within the company. (This is not a corporate blog.) But, I’m always happy to share cool things that are in the public domain that catch my eye. Our sister company – GSW Worldwide – has been putting out a lot of new things on a blog, through their innovation lab, and through their SlideShare channel. I thought I would highlight a few of those here. Leigh Householder, Chief Innovation Officer, along with Ritesh Patel, Global Head of Digital, are driving a lot of this along with others on their teams. I’m always thinking about different ways to blend companies through acquisitions or partnerships. The announcement by NantHealth the other day at HIMSS got me thinking more about it. They are an interesting company from what I can tell although I don’t know anyone there. I’ve talked about Google and all their health assets although they’re not actively trying to integrate them. I also think that there are some investment firms like Sandbox Industries that have their fingers in lots of interesting healthcare companies. Of course, I’ve talked about different PBM plays recently, and I think healthcare has become such a front page issue that companies like McKesson, GE, AT&T, Emdeon, Cisco, Apple, and others are waiting to figure out how and when to buy up some technology plays. I could easily see McKesson jumping in to buy several of the adherence companies that I highlighted a few weeks ago like Proteus. And, I’m sure there’s more from this list of fastest growing healthcare companies that will get snapped up or create some interesting partnerships. I also believe that health reform will drive some consolidation on the provider and payer side. A friend on Wall Street predicted we’d get to 6 national health insurers. I still think that’s possible – United, Aetna/Cigna, Wellpoint/BCBS, Kaiser, Humana, and ?? Google Health was a personal health information centralization service (sometimes known as personal health record services) by Google introduced in 2008 and cancelled in 2011. The service allowed Google users to volunteer their health records – either manually or by logging into their accounts at partnered health services providers – into the Google Health system, thereby merging potentially separate health records into one centralized Google Health profile. Personally, if they wanted to build that, they should just go buy Dossia, and they would be there. Looking backwards, you can read the announcement to cancel Google Health here, and there’s lots of articles out there about why it failed. Helpouts is a video service that is HIPAA compliant meaning it could eventually compete with Teladoc, MDLive, and American Well. Calico is a newer company focused on aging which has lots of people wondering as they add well known executives to the core team. They just came out with their smart contact lens to help diabetics test their blood sugar. Google has an app called My Tracks and an API to tap into some of the sensors in the phone that could be used for fitness apps. Google X staff recently met with the FDA leading to some speculation. And, I would also point to the intelligent home (per their acquisition of Nest) as a venture which will lead them down the path of health at some point. I could have easily seen them investing in something like Theranos which stands to change the biometrics space. So…it’s not like they’re ignoring the space which isn’t unusual for many companies outside of healthcare. Healthcare is hard. Healthcare has lots of regulatory constraints. In general, many companies want to avoid having to deal with some of those issues which can constrain the rest of their businesses. Do those things sound like the competencies of any one company? To me, they all sound like things that Google is good maybe even great at. Additionally, the founders of Google have the big, picture and long-term vision that’s critical in healthcare. Driving change in healthcare isn’t about meeting specific quarterly numbers. It’s about seeing the world in a new light where you want to drive change and improve things like childhood obesity. It doesn’t happen overnight. I wish I knew more about Google. Someday, I’d love to work with them on some of these opportunities. If so, I could see this being a perfect fit in the Google X world. I could see them making a change as a core focus, as investors, or simply by creating enabling tools. But, at the end of the day, this is why I think health needs Google to have a focus here. It’s almost 20% of our GDP and something that impacts most people on a daily basis. How Do The Big PBMs Grow? By now, the idea of a PBM and who they are is much more of a household item than it was a decade ago. We’ve seen massive consolidation in the industry. We’ve seen PBMs grow in the specialty PBM space. The question I often ponder is what’s next. Here’s some of my thoughts. Do Nothing. Obviously, there’s a lot to be said for ongoing momentum. The PBMs have shown growth for many years. While the generic opportunity and the mail opportunity has slowed down, there are still opportunities in the specialty space. Pharma. This has been debated by a few PBMs, but getting into the R&D space is risky and doesn’t build on their core competencies. What could be more interesting would be them getting into the services space by acquiring a company like IMS or Quintiles. International. Several PBMs have tried this model. In general, it hasn’t gone anywhere. I think the international collaboration of Walgreens and Boots is really interesting and other retailers have gone international. I don’t see this happening anytime soon with any material impact. Technology. At the end of the day, the PBMs are large technology companies. 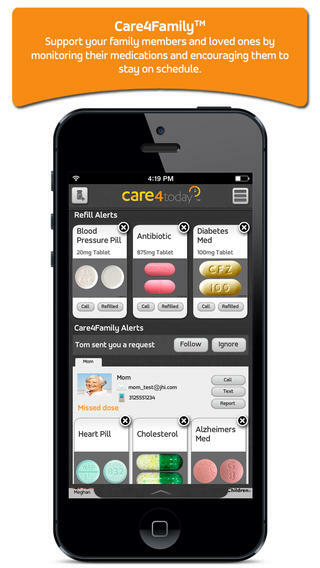 Could they see their way into the mHealth space? This space is growing like crazy, and you’re seeing established players get into the remote patient monitoring space (e.g., AT&T and Qualcomm). I could see an acquisition in this area of a telehealth company (e.g., Teladoc) or a device company (e.g., Welldoc). Or, they could build something more organically. On the flipside, they could look at technology platforms to open doors to care management or ACOs (e.g., Lumeris). Alternative, I could see SoloHealth as a really interesting asset. Retail. With a few exceptions, I think this strategy is off the table. I’ve loved the CVS Caremark integration for years, and I think it’s showing dividends. Rite-Aid is probably the only big acquisition target out there. In this space, you probably have to look at it the other way. Would any retailers (e.g., Walmart, Walgreens, Target) buy a PBM? Walgreens got rid of their PBM, and Walmart has said they don’t want to be in that market so I’m not sure that would go anywhere. Insurer. I think this one has some interesting opportunities from a Medicare perspective and from a commercial perspective. Could PBMs create an underwritten product and take on risk? I think yes, BUT I think that could impact their need for reserves and the way the market sees them. That makes me think this is less likely, but possible. Device Benefit Management. I think several ex-PBM executives have gone out to try to build the “benefit management” concept into the healthcare marketplace in other areas (e.g., IPG). 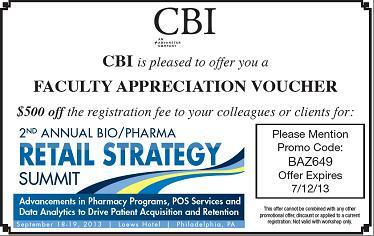 Could an existing PBM do it and cross-sell into their base? Perhaps. But, a stretch. They’re getting big so they want to buy meaningful revenue, create synergies, and then grow it. Navigation. The most used benefit is pharmacy. Today, consumers touch the healthcare system most frequently through retail and their daily prescriptions. With the ongoing complication of the health benefits, there is a huge need for navigators (and not just in the healthcare.gov use of the term). Think about companies like Health Advocate or Accolade. Data. With the RxAnte acquisition, it has to make you wonder about PBMs and their data assets. How can they use them differently? Can they create apps? Can they create algorithms to license? What would this look like? What about companies like Proteus? Perhaps, a PBM could consolidate several unique assets along the device, smart bottle, data path. Condition specific. I could see some PBMs going deep on particular areas like oncology to really build out an oncology practice that did everything from second opinions to case management to end-of-life counseling. Those could all wrap around the drugs. 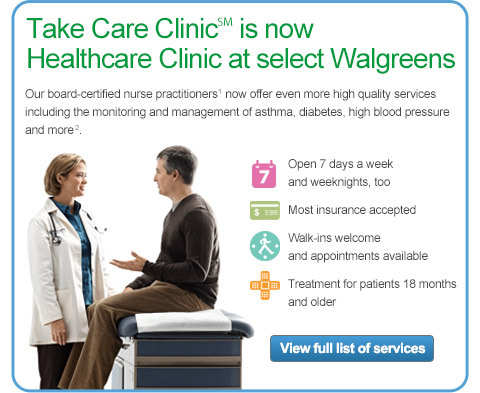 Or, imagine them going into the chronic kidney care space by acquiring a company like DaVita. Providers. While there could be some interesting synergies here with a large hospital group (e.g., HCA) or some ACO/PCMH players, I see that more of a managed care play for rolling up companies. The ROIC (Return on Invested Capital) is too different in these physical operations that I see that being a struggle. And, I think there’s lots of concerns about the hospital needs over time. Which path plays out…I don’t know, but I think it’s getting close to time that you’ll see another shift in the market as they try to secure their next 10 years of growth by expanding into something that builds on their core competencies. I think the other question would be if they focus on differentiation by really showing material differences in outcomes and engagement rates and look at how they show an overall health ROI not just Rx specific. That would be where I would place my bets and look at which of these options support that. Maybe we’ll see a PBM X (like Google X) doing some strategic long-term deals to change the overall healthcare roadmap. A few weeks ago, as a follow-up to my discussion with Aetna about CarePass, I had a chance to talk with David Tripi from Janssen Healthcare Innovation about their new solution. David is a founding partner at Janssen Healthcare Innovation where he is part of a multi-disciplinary group working toward the goal of propelling the company to become the leader in the healthcare solution business. Prior to the launch of the JHI team, David was with Johnson & Johnson for over 15 years. “Janssen Healthcare Innovation (JHI), an entrepreneurial group within Janssen Research & Development, LLC, develops cutting-edge health solutions designed to modernize healthcare delivery, improve patient outcomes, and create a healthier world.” This is a 3-year old effort by Johnson & Johnson focused on integrated care businesses and enabling technologies. 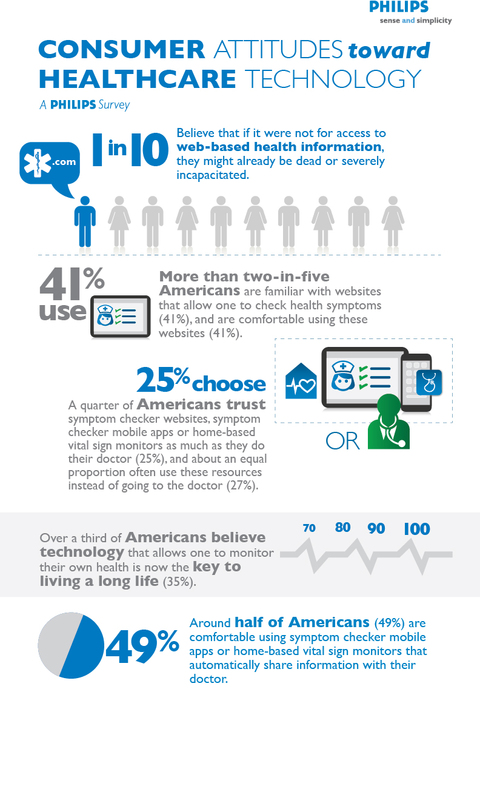 To support those, medication adherence and mobile are key areas. One thing that David stressed is that they are platform agnostic and that their Care4Today Mobile Health Manager works as both an app and via SMS. 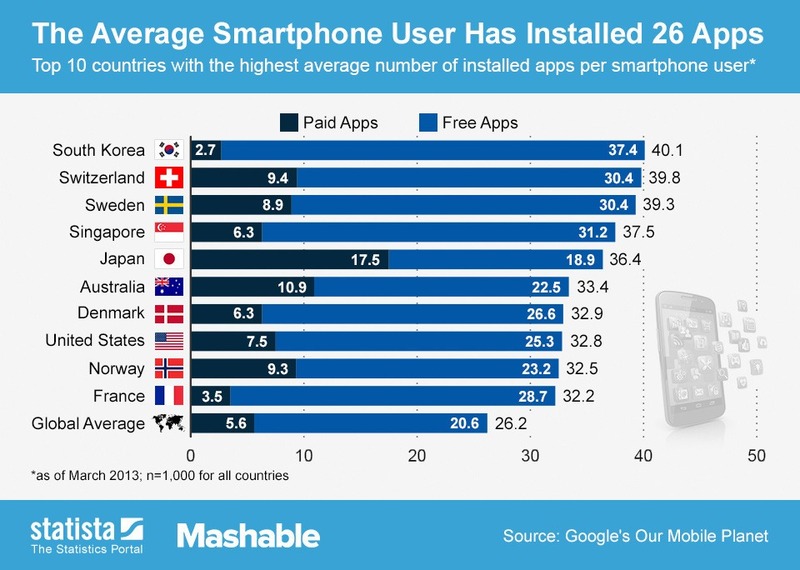 Therefore, the 50% of the US that doesn’t have a smartphone can still use it. Additionally, it’s not a product or drug specific solution. You can use this even if you don’t use a J&J product. Adherence is a huge challenge that everyone is aligned around, and everyone is trying to find solutions – plan design, incentives, apps, consumer engagement, framing, behavioral economics, and smart pill bottles (to name a few). So, what’s part of the Care4Today solution? It has reminders for Rx and OTC products. It has a refill reminder process which they hope to automate in the future. It has a two way secure messaging platform. It has images of over 20,000 pills. And, they also included a caregiver strategy and an incentive option. The idea of social health is important. We’ve talked about this for weight loss and smoking. 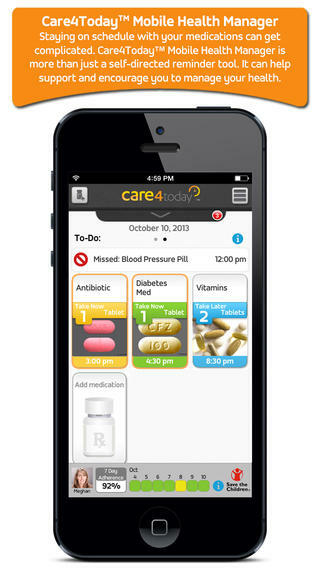 But, with the expanded role of caregivers, can they play a key role in improving adherence? For example, if you respond that you didn’t take your pill and the response goes to your caregiver, will they call you? Will that follow-up motivate you? (Care4Family) Some prior research says yes. A broader question might be about how to pick a caregiver or how to define it. Should it just be your family? Should it include your physician? What if you don’t have a support system? Could the healthcare companies or advocacy companies give you a “professional caregiver”? What about an avatar as a caregiver? I asked about the incentive program that they included (Care4Charity). David pointed out that using apps isn’t fun (at least for most people) so they wanted to give a slight motivation. I questioned him on why $0.05 (which is the daily donation if you check in and take your meds). They did lots of research which showed that the amount didn’t really matter. So, this is an experiment to see if this extra feature of the program will nudge people to be more adherent. Or ultimately, it would be great to segment the population to understand who it was motivating for and for whom it didn’t matter. One of the things I wondered about was how they were going to promote the app. 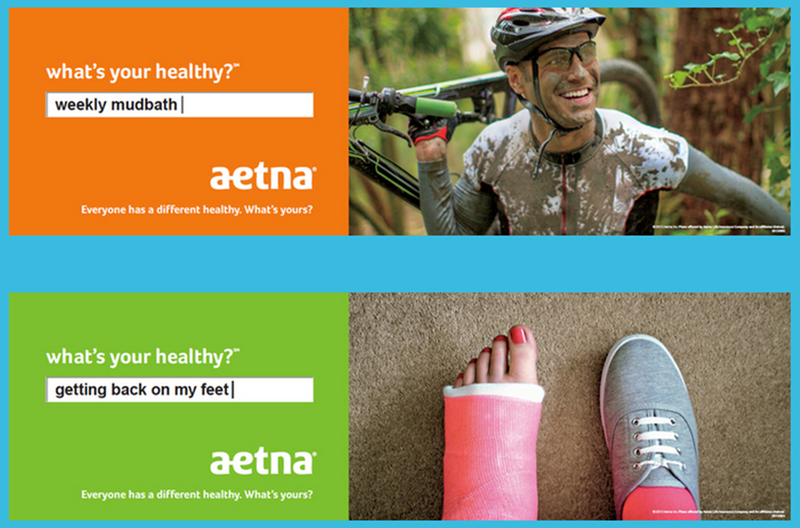 Obviously, relationships with companies like Aetna and their CarePass program are one way, but with the tens of thousands of apps out there, how will people find it? David told me that they were going to initially focus on social media – Facebook, Twitter, and mommy blogs – to drive awareness. Next, they’re going to use pharma reps to discuss the app with physicians and pilot this strategy in HIV. At the time, they’d had over 55,000 consumer downloads, and they’ve already gotten some initial feedback from physicians that like the fact that they’re offering solutions that aren’t branded to a specific pharmaceutical product. Some of those physicians are already offering it to patients. They expect this will be a big driver. They are now starting to talk with retail pharmacies about how to encourage consumer use. While my initial reaction was that this would be “competitive” with the Walgreens and CVS Caremark mobile solutions, they see collaboration opportunities especially with Walgreens and their open API. Of course, I wondered about how the app was being used, but they don’t collect PII (personally identifiable information). In the future, they plan to offer an option for patients to opt-in to share information and create a clinic dashboard for physicians to see which patients are using it and providing them with data. And, with a new collaboration with HealthNet, consumers will be logging into the app with their HealthNet ID which will allow them to link up PII and PHI (protected health information). They’ve launched in the US and France. They’re expanding into the UK and other countries next. They’re adding Spanish in Q1-2014. They’ve just completed some human factor testing which will drive some UI and UX changes. They’re going to do some testing and look at results with whatever data is available. They’re going to try to partner with as many people as possible. 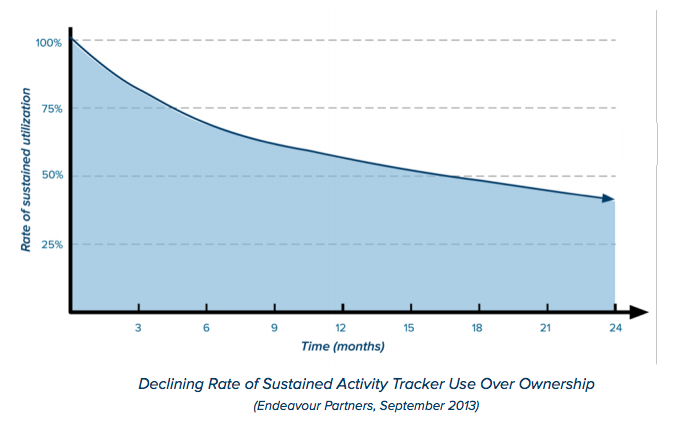 Will it move the needle around adherence? It’s still too early to tell. But, it’s great to see pharma testing new strategies and working in new ways with payers to try to address this challenge. I’ve been a longtime user of Garmin for my running. They provide easy to use GPS watches that provide you with all the details and history you want. I also now have my FitBit as another tracking device when I run. 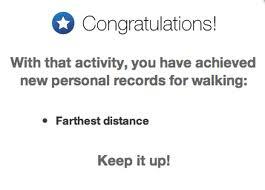 So, while several people encouraged me to try RunKeeper, I was hesitant. How many trackers for the same activity do I need? But, I started carrying my iPhone for music while I ran so I decided to give it a try. So, the question is why? It talks to you. While looking at my Garmin is pretty easy, the RunKeeper app speaks into my headphones while I’m running to tell me when I’ve completed a half-mile, what my total time is, what my average mile pace is, and what my last split was. I can certainly calculate all that and see it on my Garmin, but this is very easy. It gives you reinforcement and now some badges (through Foursquare which I don’t use). 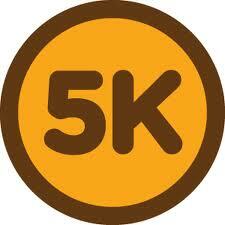 But, I do like the reinforcement – i.e., that was your longest run, that was your fastest run. Simple but positive. It has a nice GUI (graphical user interface) or app. It tracks my data. It’s easy to read. So, if you’re like I was, I’d recommend trying it. As I mentioned a few weeks ago (2/2/13), I wanted to test and see if healthcare companies would respond to consumers via Twitter. To test this, I posted a fairly general question or message on Twitter to see the response (see below). Of the 23 companies that I sent a message to, only 12 of them ever responded even after 6 of them received a 2nd message. Those results are shared below. What I also wanted to look at was the average time to respond along with which group was more likely to respond. Pharmacies – Only 2 of the 4 retail pharmacies that I reached out to responded. Some companies have a different Twitter handle for managing customer service. Some companies ask you to e-mail them and provide an e-mail. Some companies tell you to DM (direct message) them to start a dialogue. From a time perspective, I have to give kudos to the Prime Therapeutics team that responded in a record 2 minutes. Otherwise, here’s a breakout of the times by company with clusters in the first day and approximately 2 days later. I guess one could ask the question of whether to engage consumers via Twitter or simply use the channel more as a push messaging strategy. 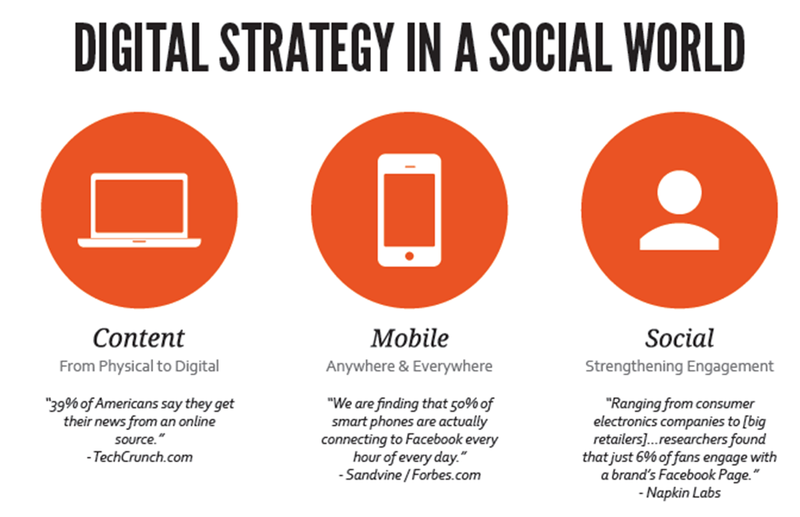 The reality is that consumers want to engage where they are, and there are a lot of people using Twitter. While it might not be the best way to have a personal discussion around PHI (Protected Health Information) given HIPAA, it certainly seems like a channel that you want to monitor and respond to. It gives you a way to route people to a particular phone number, e-mail, or support process. As Dave Chase said in his Forbes article “Patient engagement is the blockbuster drug of the century”, this is critical for healthcare companies to figure out. The CVS Caremark team told me that they actively monitor these channels and engage with people directly. I also talked with one of the people on the Express Scripts social monitoring team who told me that they primarily use social media to disseminate thought leadership and research, but that they actively try to engage with any member who has an actionable complaint. They want to be where the audience is and to quickly take the discussion offline. With all the discussions these days on Big Data and how to use information to create insights and wisdom, I was really shocked when I looked back at this PWC survey from 2011. In it, less than 1/3rd of health insurers were very confident in their use of informatics to add value around case management, disease management, wellness, and consumer health tools. WHAT??? This seems crazy to me. In this interconnected world where everyone is talking about connected devices, mHealth, and ENGAGEMENT, health insurers are in the optimal position to leverage their data to provide insights, to provide transparency, to create algorithms, to be preventative in their actions, etc. Maybe their technology platforms are too old? Maybe they’re too silo’d? I’m not sure. But, I find this an interesting arbitrage opportunity. With a system that integrates data from claims, labs, patient reported sources, HRAs, and biometrics, you can add value by creating a personalized patient experience that adapts with their needs. In the Winter 2012 Innovate Magazine from Barnes-Jewish Hospital and Washington University Physicians, they talk about a new iPad app that they developed that calculates disease risk and offers a customized plan. Overall, it seems like a nicer than normal HRA with the ability to interact with it. My question would be how it integrates with my care team and how it gets used over time. If this integrated into my other devices and monitored my data, it would seem more valuable than a standalone app, but I certainly think it’s great for a one-time use. If you’re interested in downloading it, you can go to iTunes here. Last week at the mHealth Summit in DC, I had a chance to sit down and visit with Christine Robins who is the CEO of BodyMedia. (see bio below) One of the most exciting things (mentioned at the end) is their new disposable solution coming out. Christine Robins is currently the Chief Executive Officer of BodyMedia, Inc., a pioneering market leader in wearable body monitors. BodyMedia’s devices are unparalleled in the marketplace, and equip professionals and consumers with rich information to manage a range of health conditions impacted by lifestyle choices. Prior to joining BodyMedia, Christine was the CEO of Philips Oral Healthcare where she led the global Sonicare® brand to significant sales and share growth. Christine also has extensive experience in a wide range of marketing and finance capacities gained during her 17 years at S.C. Johnson, where she ran notable brands such as Raid® insecticides, Glade® air fresheners, and Aveeno® skin care. With this background rooted in global multi-national companies and an entrepreneurial zeal essential to lead a high technology upstart, Chris is passionate about developing turnaround strategies, building teams, and driving innovation. A noted speaker, Christine has delivered presentations at universities such as Harvard, Stanford and Duke, as well as keynotes at industry shows such as the Consumer Electronics Show, Health 2.0 and CTIA. She holds a degree in Marketing and Finance from the University of Wisconsin-Madison and an MBA from Marquette University. 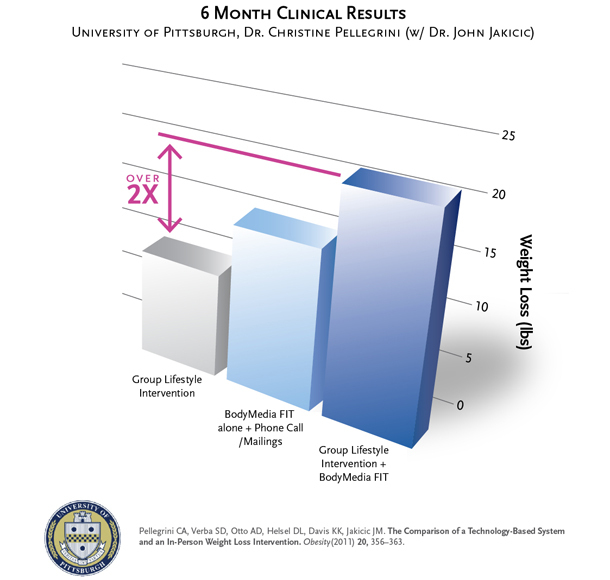 If you’re not familiar with BodyMedia, it’s definitely a company to know from a Quantified Self perspective. They have been around since 1999 providing solutions and have 150 global studies about the effectiveness of their devices in weight loss (see one chart below). The devices that they use continue to get smaller and smaller with time and are registered with the FDA as Class II medical devices. Their devices track 5,000 data points per minute using 4 different sensors. Here are a few screen shots from the mobile apps that they have. 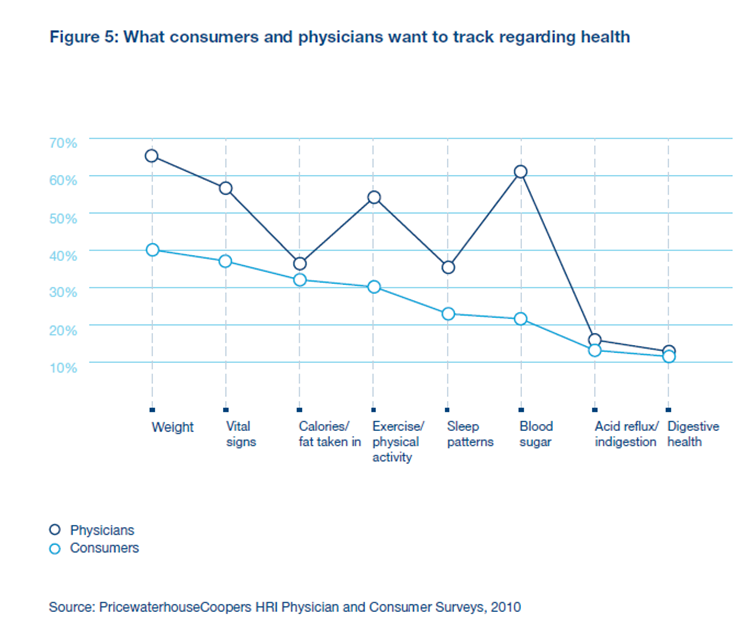 And, as you can see, they map well to the chart below which shows what data consumers and physicians want to track with weight, calories, physical activity, and sleep patterns. 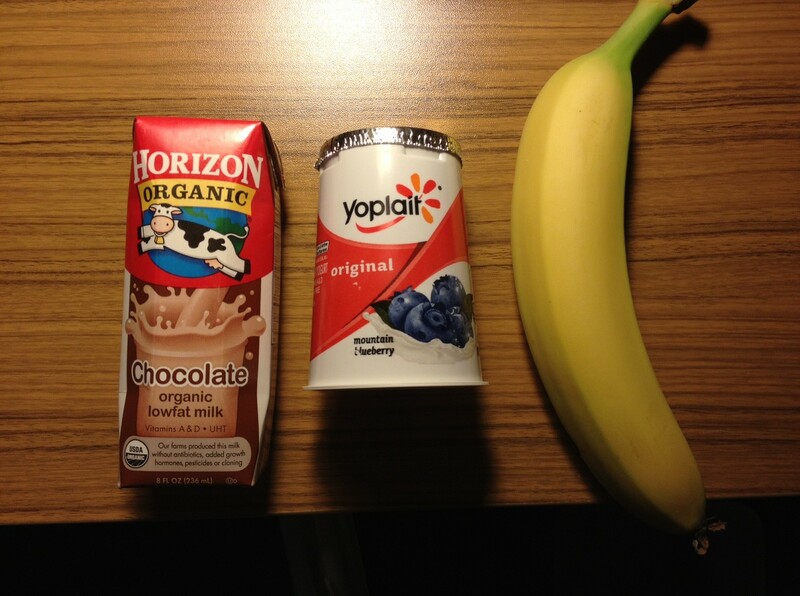 For food tracking, they work with MyFitnessPal which provides them with data on products you eat. I think a good example can be seen in this screen shot from the Android app. But, honestly, a lot of what I was really intrigued by was a new offering they’re rolling out called the “PATCH” which will be a 7-day, disposable body monitoring system that does everything the full blown system does. I don’t know the price point yet, but this is really exciting as a way to pull new people into the market and to use as a strategy for setting a baseline with a patient to understand their data. It could then lead to recommendations around disease management. Another thing that Christine talked about was they’re approach to partnering with places like the Biggest Loser and other to allow for a customized content approach to your messaging from the system. She also showed me how the device will project where you will end up at the end of the day based on your past history. 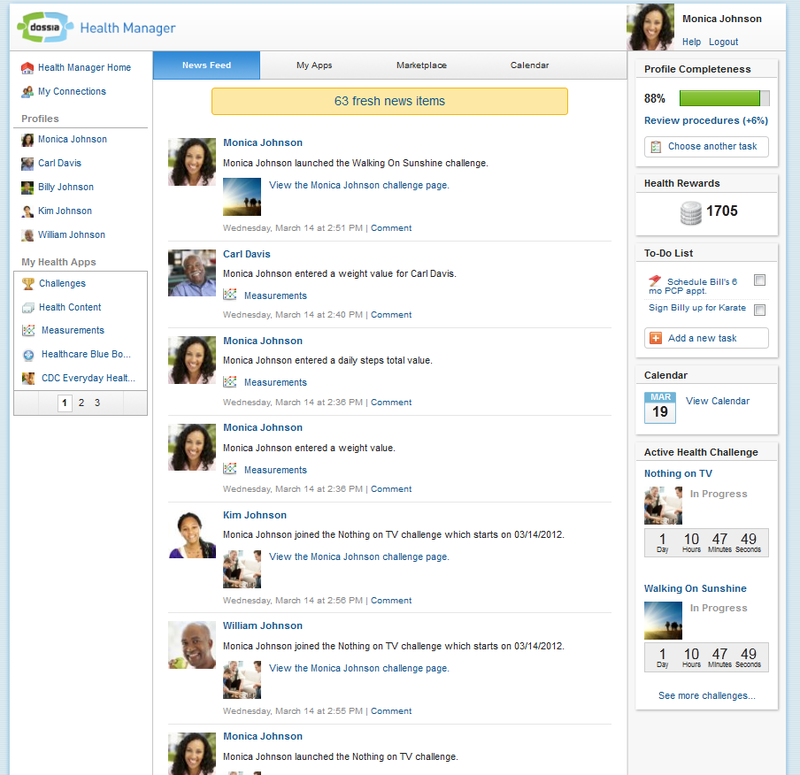 They also have a module for a coach or weight loss professional to help manage and view data across all the people they’re working with. I only had time to attend one day of the mHealth Summit in DC. Overall, it seemed like a well attended event with a good vendor area. But, what I saw left me with concerns about the maturity of the space. 1. Every vendor has their own portal. There was no idea of convergence or sensitivity to the care manager or provider or patient having to access multiple sites to collect data. Of course, there were a few exceptions. 2. There’s still some heavy lifting for the consumer, but it’s getting better. 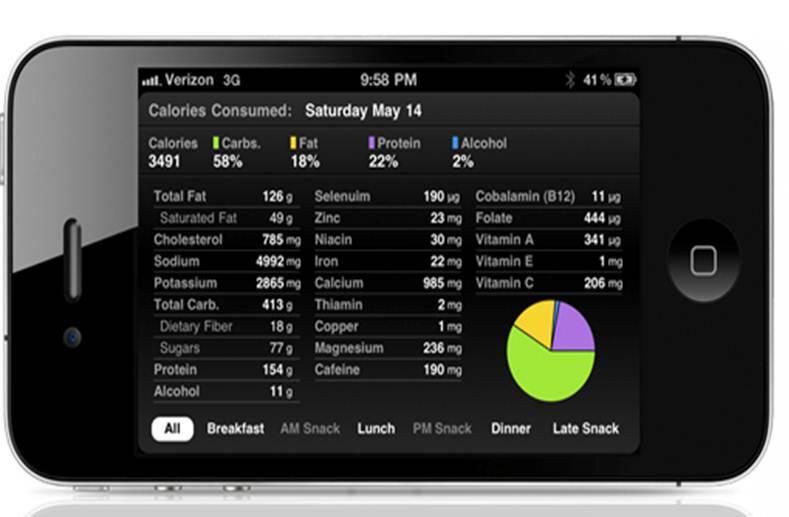 For example, one food application lets you scan in your food but that calorie counter isn’t integrated into any activity monitor. Another application was trying to monitor social activity for part of their depression algorithm but they weren’t leveraging the data sitting on the phone itself – numbers of calls, movement, etc. 3. There are some really creative solutions being tried but the scale of the studies is small. I was excited to see what was being done with obesity, but the case studies were less than 150 participants. 4. There are a lot of non-healthcare people jumping in which is great from an innovation perspective, but healthcare is tricky and making sure to apply consumer literacy filters to the clinical guidance you get is important. For example, I asked one vendor why he had several chronic diseases covered but ignored high cholesterol. He pointed out that he had a heart disease component, but IMHO I don’t know many people with high cholesterol that would self select into heart disease. On the other hand, there were some really positive things. 1. The user interface on a lot of these is very elegant. 2. The devices are getting smaller and smaller with a few disposables on the way. 3. The data captured and reporting is really interesting and insightful although I’m not sure how it will all be used by patients, physicians, or companies. 4. Technology is much more scalable than people centric strategies which is critical in the US and globally. 5. Several companies really get it and are focused on device neutral approaches for capturing and disseminating data. Overall, it reminded me of some of my concerns about the Health 2.0 movement a few years ago in terms of business models and distribution models. But, keep the innovation coming. It’s fascinating and thought provoking. But, there will definitely be a shakeout in the years to come. Reform (PPACA aka ObamaCare) will happen. While the Republicans will fight it, with Obama’s re-election and the Supreme Court decision. Reform will continue to happen. The states will mess up the Exchanges which will create many issues, but private exchanges will come to the “rescue”. “Big Data” will be a focus at every healthcare company. What data to store? How to mine the data? What data to integrate? How to bring in unstructured data such as physician’s notes? What to do with consumer reported and consumer tracked data from all the different devices? Physicians will emerge back in the power seat. With Accountable Care Organizations and Patient Centered Medical Homes, consumers are finally becoming more aware of all the shortcomings in our sick care system. They trust their physicians although somewhat blindly given ongoing challenges with evidence-based care and quality which are often the result of our Fee For Service system (too little time) combined with an abundance of new research happening concurrently. mHealth will be the buzz word and exciting space as entrepreneurs from outside healthcare and people with personal healthcare experiences will attempt to capitalize on the technology gap and chaos within the health system. This will create lots of innovation, but adoption will lag as consumers struggle with 15,000+ apps and the sickest patients (often older patients) are the slowest to adopt. 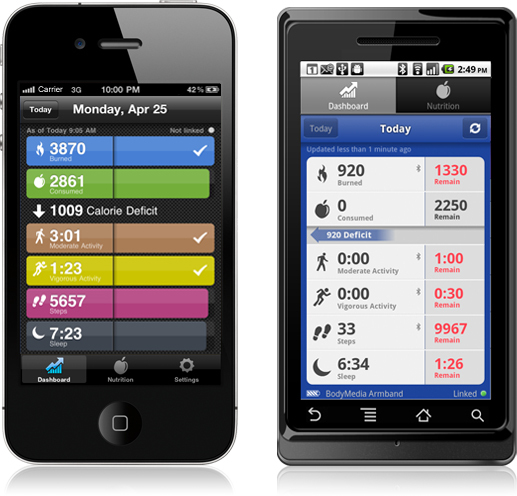 Device proliferation will go hand in hand with mHealth and with the Quantified Self movement. This will create general health devices, fitness devices, diabetes solutions, hypertension solutions, and many other devices for wellness and home monitoring for elderly patients. Like mHealth, this will foster lots of innovation but be overwhelming for consumers and lead to opportunities for device agnostic solutions for capturing data and integrating that data for payors and providers to use. The focus on incentives will shift in two ways. Technology vendors will begin to look more and more at the gamification of healthcare and how to use gaming theory and technology to drive initial and sustained engagement. At the same time, the recent ruling will allow employers to shift from rewards to “penalties” in the form of premium differentials where patients who don’t do certain things such as take biometric screenings or engage with a case manager will pay more. In 2014 and 2015, this shift will be from penalties with activity to penalties tied to outcomes. Consumer based testing will drive greater regulation. With the focus on home based testing (e.g., HIV or High Cholesterol) and the increased interest in genetic testing especially when tied to a medication, the FDA and other government agencies will have to address this market with new regulations to close gaps such as life insurance companies being able to force disclosure of genetic testing in order to get coverage (even though the testing isn’t necessarily deterministic). Clinics will prepare for 2014. With the increase number of consumers being covered in 2014, there will be an access challenge for patients to see a provider. This will drive buildout and utilization of health clinics such as TakeCare or MinuteClinic. Clinics will have to look at how to adapt their workflow to create a patient relationship which will create potential integration points with TeleHealth and bring back up the issue of whether they should or could replace the traditional Primary Care Provider (PCP) relationship or not. Telemedicine will hit a tipping point and begin to Cross the Chasm. They now have better technology and adoption within major employers. This will start to create more and more business cases and social awareness of the solution. With utilization, we will see great adoption and the increasing use of smart phones for healthcare will drive telemedicine into an accelerated growth stage. Transparency solutions will continue to be a hot area with CastLight and Change Healthcare leading the way. Their independence and consumer engagement approaches based on critical moments (i.e., pointing out how to save money on Rxs just before a refill) and using multiple channels will show high ROI which will also increase broader healthcare awareness making them part of the population health solution. Generics will no longer be a talked about issue. With generic fill rates running so high across different groups and being front page news, PBMs, pharmacies, and pharma will truly begin to move forward to embrace the specialty market with a clear vengeance (at least in the US). There are still a few longer term trends that I’m watching, but I don’t think that 2013 is the primary year for them. The evolving role of pharmacists within the Medical Home and with vaccines. A significant shift from mail order to 90-day at retail fulfilled by massive central fill facilities. Pharma co-opetition where they begin to collaborate at the disease state level realizing the a rising tide is good for all boats. Integration of data from all types of solutions and actions into workflow triggers that automatically create new events within the care management infrastructure using Service Oriented Architecture and Business Process Management. I’ve shared a few tests with you about my FitBit One which included comparisons against my Garmin and versus a pedometer. Today, I got to take it to the gym with me and tested it for distance and calorie count relative to several pieces of equipment from LifeFitness – treadmill, stationary bike, and elliptical. For the treadmill, I also looked it two ways: (1) running at an 8 minute mile pace and (2) walking at a 15 minute mile pace at a 15% slope. As you can see before, the FitBit was much better aligned on distance with the treadmill, but it was not as aligned on calorie count. I’m have no hypothesis here. I will say that I was surprised that the uphill walking didn’t somehow register as steps. I say that because I went on an outside run the other day up and down hills, and the FitBit did a great job of tracking my uphill runs and translating that into floors climbed. As a side note, I think this does a nice job (if you believe the equipment calorie count) on showing how a slow walk up a steep slope can burn lots of calories compared to a fast run.